The story of the First Ascent of Denali by Hudson Stuck, Harry Karstens, Walter Harper and Robert Tatum in 1913, recorded in celebration of the restoration of the mountain's original name. The story of the ascent itself was quite engaging and told in an elegant manner with admirable modesty. The last quarter of the book, where he describes the calculation of the height of the peak, the previous attempts at the summit, and the naming of various features, can be skipped. 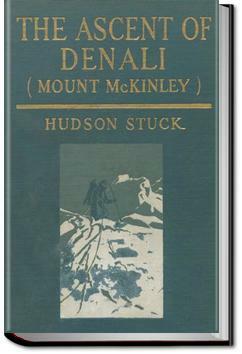 Articulately written, humble, and wonderfully even in tone: Stuck's account of the first true ascent of Denali is a minor classic.